Experienced trekkers will love this exciting 13-day adventure, which takes you from the valley of Langtang to the rugged yet beautiful terrain of Helambu. 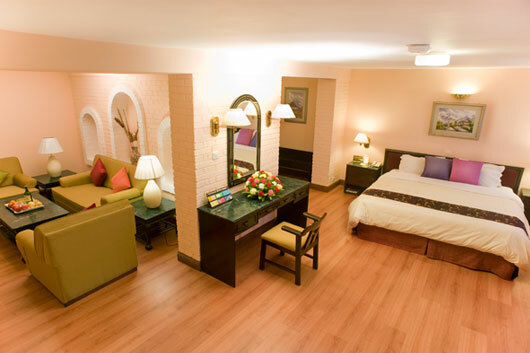 You will be received by our representative on arrival at Kathmandu airport who will help you settle into your hotel. Be sure to get a good night’s rest as tomorrow we embark on an exciting journey into the wilderness of Nepal! After breakfast we drive out of Kathmandu valley in the north-west direction for three hours, to the ancient citadel of Nuwakot. We will check in at our accommodation for the day. After lunch we go for a tour of the nearby fortress and the Nuwakot palace dating back to 16th century. We return to our hotel by late evening. On day three, we drive to Dhunche which is around 50 km away. The drive is slow and cautious as we move over very steep terrain. We will reach our destination in about five hours. The remaining part of the day is spent in acclimatization. Today, we start our trekking adventure. We start our trek from this picturesque hamlet perched high up in the Himalayas. We embark on a five hour trek. We will descend down to a stream. A wooden bridge assists in crossing the stream, after which we will climb up through a lush pine forest. The ascent is interrupted by a patch of open farmland. We will resume trekking along the ascending trail, through the deep woods till we reach a ridge at Singa Gompa, at a height of 3320 m.
We will spend the next two nights in a local tea house. We will spend the entire day at Chandanbari, exploring the woodland. These woodlands house the lovely Red Panda. If lucky, we may spot few of them. We will return to our accommodation at night. We start our trek, late in the morning. The three hour trek will take us eastward. We move along a sharply inclined trail which later eases out into a gentle climb, up to the ridge line. 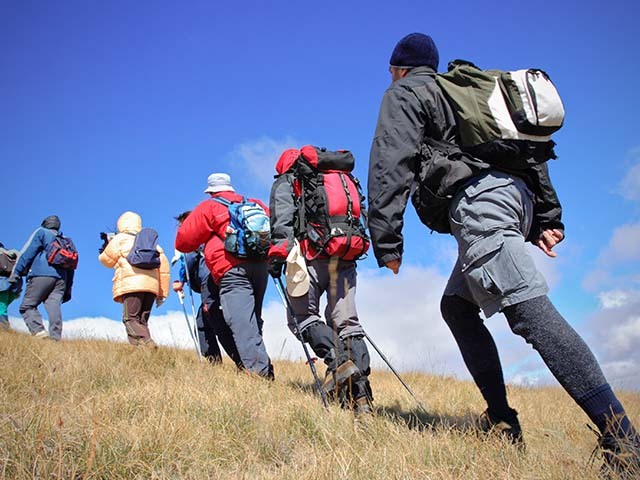 We will be rewarded by spectacular glimpses of the landscape as we trek along the ridge. We continue our trek on northern side of the ridge. As we trek on the slope, we will discover the forest cover with abundance of fir. 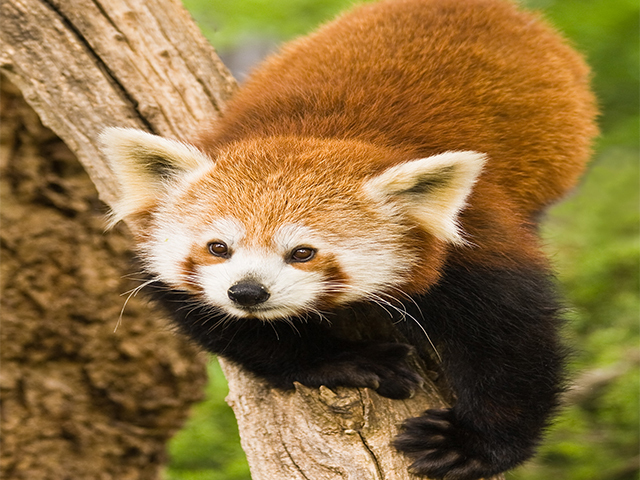 This region is famous for its inhabitants, the Red Panda. They are extremely shy and you have to be very patient if you want to spot them. The trail curves down the slope and emerges onto a saddle at Chalangpati, at a height of 3380 m. The landscape turns alpine as we continue trekking along the trail. The lush forests give way to clumps of Juniper and Rhododendron. The final stretch of our trail, goes on for 2 km and brings us to Laurebina yak. A marvelous treat for sight, awaits you. This spot exhibits a panorama; from the magnificence of Annapurnas, Manaslu, Ganesh Himal, Langtang Lirung, stretching right up to the distant mountains of Tibet. We will spend the rest of the day relaxing at our accommodation for the night. Today, we will start off on a four hour trek to the holy lake of Gossain Kund. Today, you will view some of the best lakes of Nepal. Our trekking trail leads us to Saraswati Kund, the first of the lakes. At a height of about 4100 m, we can spot the lake from above. As we move ahead on the rocky trekking trail, we come across the second lake, Bhairabh Kund. The trek continues and as we descend about 20 m, we reach our destination for the day; the holy lake of Gossain Kund ( 4380 m). The Lake is famous for the black rock placed at its center. The rock is venerated as Shiva, the Hindu God. After viewing the lake, we will head to our accommodation and spend the remaining part of the day resting. On day eight, we will embark on a long hike. This six and a half hours hike takes us from Gossain Kund to Ghopte. The path leads us from the north shore of Gossain Kund to an ascending rough trail marked with rock cairns. We reach Laurebina La pass in about an hour, which is at a height of 4610 m. We will pass three lakes on the way. The descending trail is perilous and extra caution need to be taken. The steep descent eases at Bheda Goth (4100 m). We will take the safer trail to Phedi which is at a height of about 3500 m. We take another perilous trail from Phedi which is steep and rough. But as we descend, we enter a patch of forest which leads to a winding path through the ravines up to the head of the valley. Finally, we arrive at our overnight destination, Ghopte. Ghopte is located at a height of 3430 m.
At night, Ghopte gives us an excellent sparkling view of the forest valley, lighted Trisuli Bazaar and the Kathmandu Valley. We will spend our night at a local tea house in Ghopte. Today, our trekking trail will lead us to the next wing of our expedition, the Helambu Circuit. The short two and a half hour trek takes us through long ranging series of foothill ridges. The trail leads us through alpine region and descends steeply. We trek through a winding path and reach the spot where the 1992 Thai Airways plane had crashed. In a while, our trail with merge with the Helambu Circuit. We will reach Tharepati, which is at a height of about 3510 m, perched on the crest of a hill. We will spend the rest of the day relaxing. We start off on an exciting five hour trek today. The trail arches to the right and takes us through the rhododendron strewn meadows and streams. Later, the path takes us back to the ridge crest and to another trail junction. Here, we turn right to reach Mangengoth (3150 m). We descend the trail and later climb it up again to reach the main saddle which is marked by fluttering flags. An hour of trekking from Mangengoth will take us to a wide hillside where we will see another trail junction by the mani wall. These are walls that are made from beautiful, carved stone tablets which carry the inscription "Om Mani Padme Hum" ("Hail to the jewel in the lotus"). According to Buddhist belief these walls should be passed from the left, following the clockwise direction of the earth's as well as the universe's revolution. As we keep moving straight ahead, we find ourselves amidst rhododendrons, ready to enter the Tamang Village of Kutumsang. The village is located at a height of 2470 m and overlooks terraced fields on either sides. Today's trail takes us from Kutumsang to Chisopani. We embark on a seven hour trek along the ridge crest. The trail turns rough as we near Gul Bhanjyang (2142 m). As soon as we pass the village, we start our uphill hike. We cross to the right hand side to make use of a better terrain. Later we cross back to the left and return to the western flank, trekking through a patch of oak trees, leading to Namche Danda at a height of 2453 m.
We descend down stone steps to Chipling at 2165 m. Continuing on the descending trail, we zigzag through terraces and reach Thana Bhanjyang (1780 m). The trail ahead branches into three directions; we take the middle path which leads to Pati Bhanjiyang (1768 m). As we move beyond the village, the path forks into two again, we opt for the right hand path and ascend 400 m to Chisopani. The early morning mountain views at Chisopani are out of this world. After enjoying them for a while, we start on our return trek of five hours. We reach Sundarijal and follow the trail for an hour through forests to Burlang Bhanjyang, located at a height of 2438 m. We will cross the abandoned army camp to arrive at the village of Mulkharka (1768 m). We descend down the village via concrete stair case and reach the water reservoir at Sundarjilal. We reach Shivapuri National Park. The sight of thundering waterfalls are a perfect end to our trek. We follow the pipeline and reach the end point of our trek at the bazaar. We will be taken to our hotel in Kathmandu. We will spend the rest of our day in the hotel. Our Nepal wildlife tour ends today. We will spend some time at the hotel. Later, you will be transferred to the hotel to catch your homebound flight.